Zari breaks down as her sons Pinto and Quincy comfort her. All roads led to Kayunga for the burial of Rich Gang President, Ivan Semwanga. 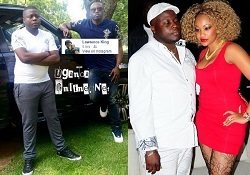 He was pronounced dead last Wednesday by his ex-wife, Zari Hassan. During the requiem mass yesterday, Zari told mourners that she moved on to another relationship, but Ivan never did. The mom of five added that she was now strong after having cried for the 11 days Ivan was at the hospital. However, it dawned on her that the father of her three sons; Pinto, Raphael and Quincy was gone, she broke down. Zari di the comforting yesterday, but today, her children were comforting her. 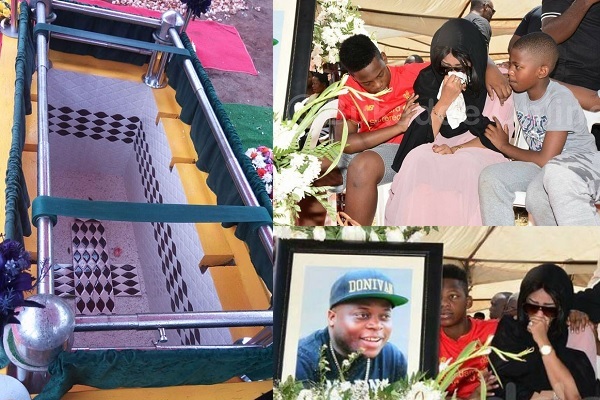 Inset is a mourner seen trying to get a glimpse of Ivan Semwanga's body, but it was not possible as the coffin was sealed. It was decided that friends and fans should remain with the memories of Ivan when still alive as opposed to when he was dead. The coffin was tightly guarded at all times. 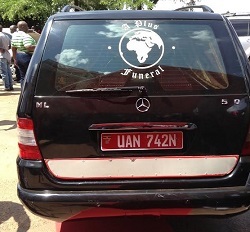 In the typical Rich Gang Style, mourners dropped money in the grave to give back to Ivan Don. However, the highest value note was a 20k note and not the 50k that he used to give out clearly confirming, he was gone. 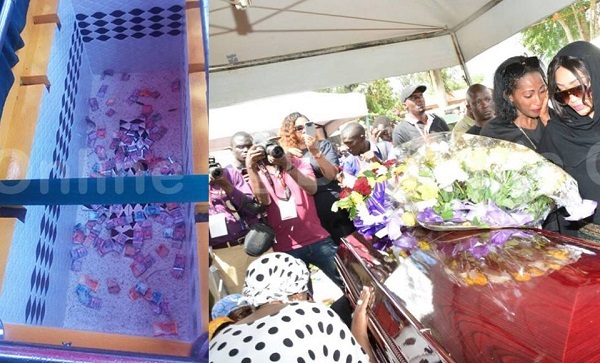 His close pals popped champagne on top of chopping money in the grave, watch video of champagne and money dropping in the grave below. 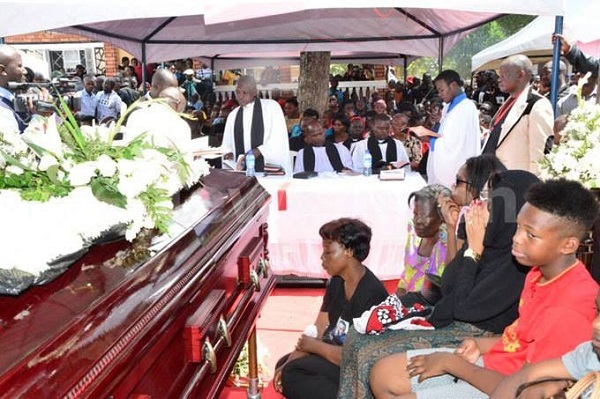 Zari and the children in plus other mourners at Ivan's ancestral home in Kayunga.